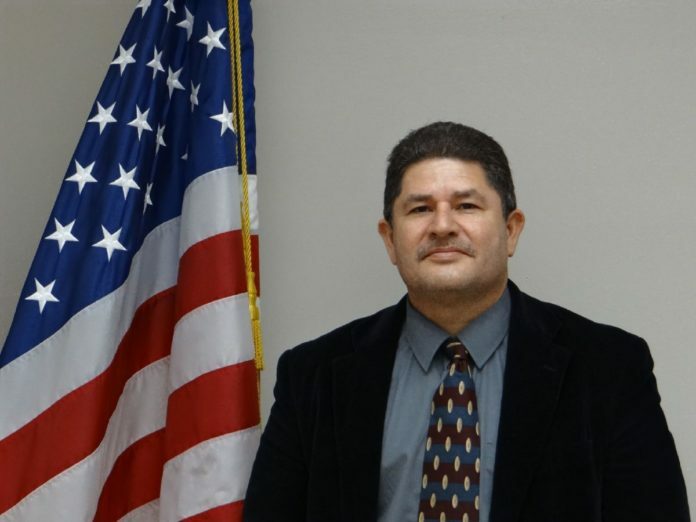 Carlos Yerena is currently serving as the Donna interim city manager. The city council is working to formalize his contract for the permanent position. DONNA — The city council here met behind closed doors Tuesday to discuss formalizing a contract for a new city manager. The original $195,000-per-year contract drafted to name interim city manager Carlos Yerena to the permanent position is off the table for now. It also included a 6 percent increase in pay per year. City Attorney Javier Villalobos — who did not write the original contract — expects to draft a new contract in the coming days. “Hopefully, next week, we should have something finalized,” Villalobos said. Donna has not had a permanent city manager for about two years. Councilwoman Cathy Alvarado was the sole vote opposing the move to authorize Villalobos to negotiate and prepare a contract. The possible terms of the contract remain private — at least for now — since the matter was discussed in executive session. Yerena was named interim city manager Dec. 16, the same day Mayor Rick Morales and Coucilman Arturo “Art” Castillo took the oath of office. Morales said he supports naming Yerena to the position. Alvarado, though, wanted the city to again accept applications and go through a more structured process in naming a city manager instead of quickly moving Yerena into the position. “You need to have stability in your government,” Morales said last week about naming a city manager. Yerena — who started his career in local government with the city of Donna — was last employed as a city manager in Harlingen where he worked for five years. Yerena would also have to agree to the terms of the proposed contract in order for it to be finalized. The city council will likely discuss the matter during the next meeting slated for Jan. 16.